The Telex CCB-1 provides the necessary single-channel conversion between the Telex AudioCom balanced and the Clear-Com unbalanced intercom systems, while maintaining proper call signaling and power for both systems. 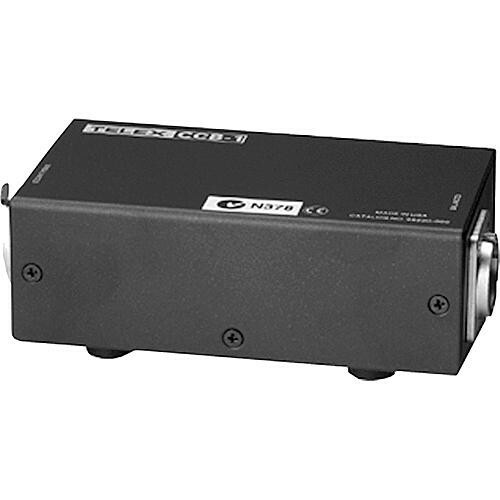 The unit is also useful for interfacing to camera CCUs that are Clear-Com compatible. The unit operates on 15mA nominal quiescent and 30mA nominal signaling current requirements off of a 24VDC power supply. Box Dimensions (LxWxH) 7.9 x 4.9 x 2.9"